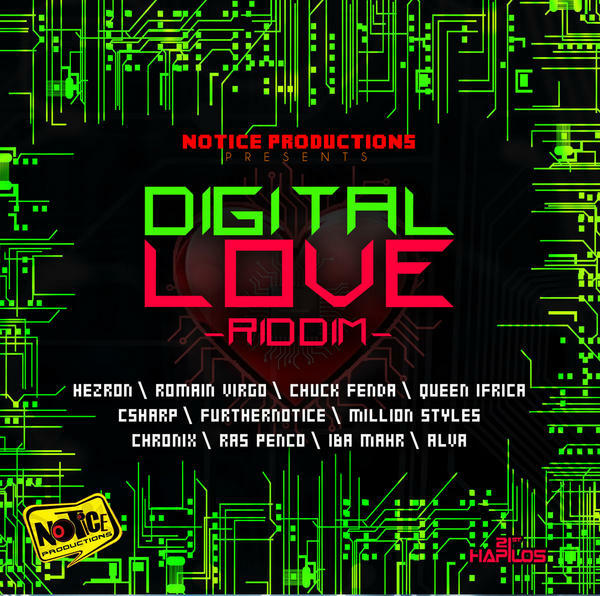 Notice Productions Presents The Critically Acclaimed Follow Up To Their 1st One Drop Success “Heart & Soul Riddim” Titled “Digital Love Riddim” Produced By Unga Thompson. Digital Love Riddim Was Recorded At Big Yard Studios And Mixed At Tuff Gong Studios In Jamaica Where Unga Is A Drummer/Producer. As Stated Above This Is The Second One Drop Riddim From Unga. His first One Was The Hugely Successful Heart & Soul Put Out Last Year. Digital Love Riddim Is Just Engineered To Be An Immediate Massive Follow Up With A Captivating Bassline, Smooth Kicks & Snares With Ample Synths Defining A Sing Along Medley With That Authentic Reggae Vibe As Well As Spot On Harmony. It Also Features A Stellar Artist Lineup All Belting Out Massive Singles! Imperial Production By Unga!